Size: 1,675 sq. 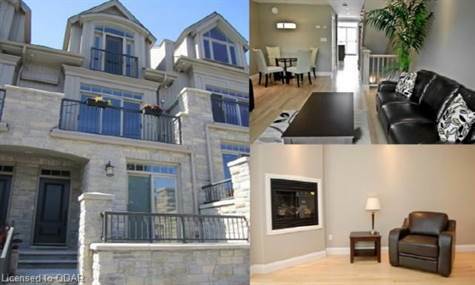 ft. "1501 - 2000 SQ FT"
Elegant Town Hill Living with a personal elevator! Nestled in the core of Prince Edward County and within walking distance to all of Picton's amenities, this exceptional condo unit has all the finishes and features you would ever need. With 1,675 square feet of living space across three floors, plus basement, arts and crafts-style inspired mouldings and staircase. Granite countertops throughout. Custom-designed kitchen complete with centre island breakfast bar. Engineered hardwood floors. Spacious master bedroom with a Juliet balcony and elegant ensuite bath. Ground floor home office or media room with courtyard access. Front balcony off kitchen and private covered balcony off living room. Close to beaches, spa facilities, hospital, golf course, restaurants, specialty shops and more! This turn-key opportunity has adaptable uses to various lifestyle needs.